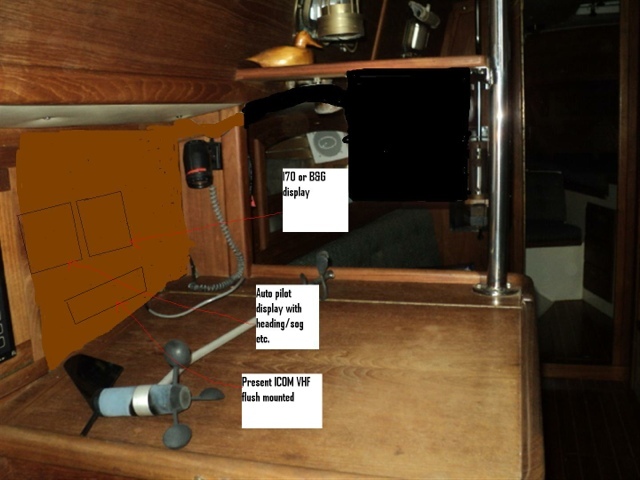 Two quotes from the guys down at the dock, and a mock up of what it might look like once installed. 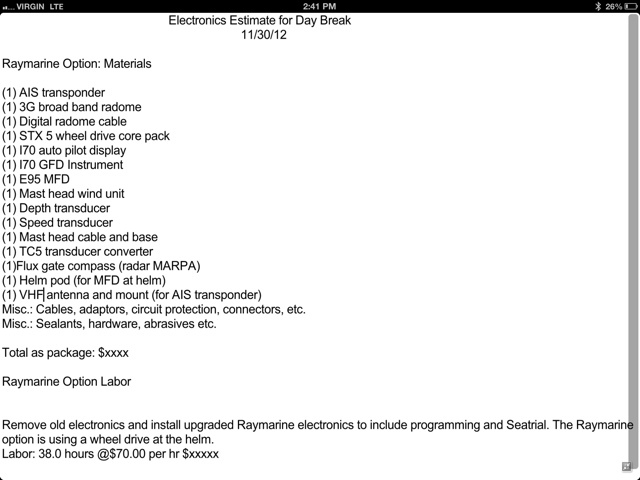 I'll have to decide between B&G or Raymarine. I want to go with an integrated system and don't want to have various equipment that can't talk to each other. The B&G is a little more expensive, but has a linier drive auto pilot vs. a wheel mount. B&G also has a lot more sailing navigation tools. 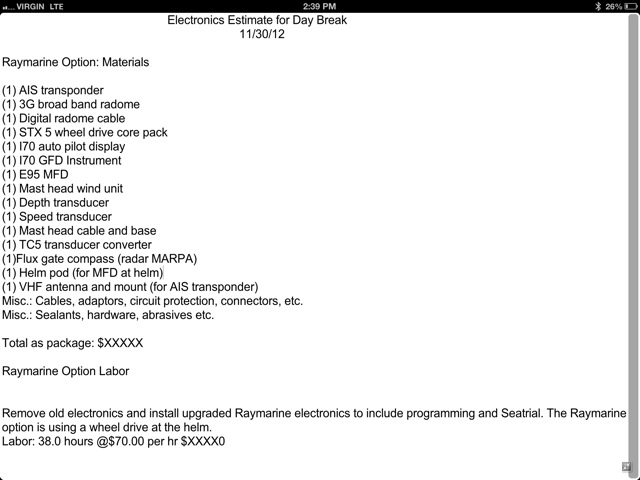 Raymarine is a little less expensive, but has a wheel pilot. The maps look a little better on Raymarine, but I'm sure I can upgrade the B&G. 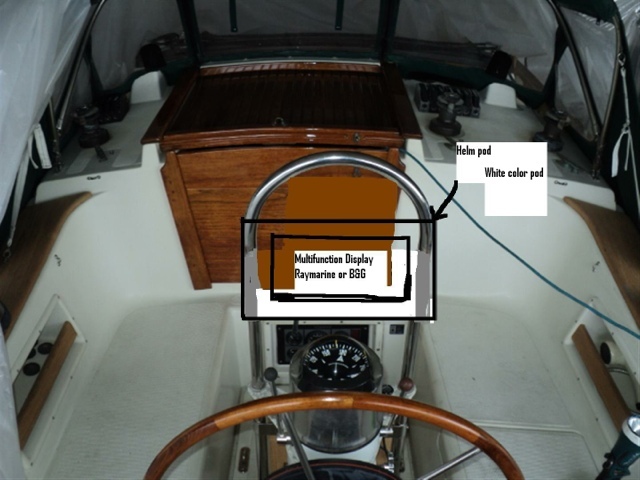 I'm also worried about the flexibility of B&G for a repeater head in the nav station. I'll post or add some of the pictures and quotes. I decided on putting a B&G 8'' Zeus at the helm, and a 7'' Zeus at the nav station to show position, AIS, and Anchor movement. I'm going to update the radar and VHF as well to ensure that everything can talk. Once I get some results / pictures I'll post them here.